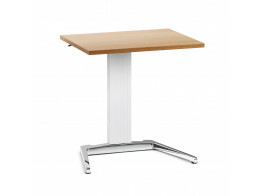 Our extensive range of modern training room tables allow you to have a conference or learning environment fit for purpose. 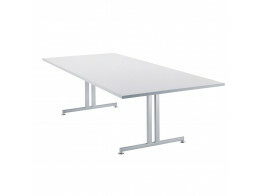 All our training tables have been selected for their ease of use, allowing you to have a table solution that is mobile, stores efficiently, and supports technology conveniently. Making the right choice in training table can determine the way you teach and learn, making the environment more welcoming to students and training staff. 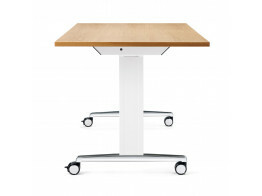 Ahrend 310 table can be used in canteens, as training tables, and in informal meeting areas. 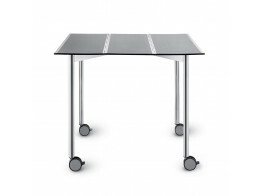 Torino Meeting Table offers intelligent cable management technology for boardrooms and training areas. 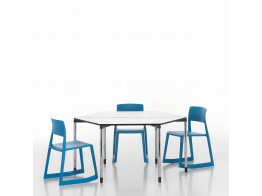 5000 Pliéto Table can be stacked in a very space-efficient way thanks to the patented folding mechanism. 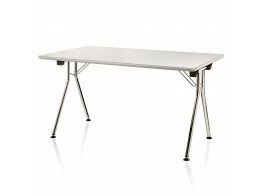 When totally unfolded, an unlimited number of Join Me Training Tables can be linked together. 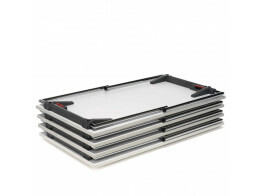 Inka Table is stackable, foldable and linkable, ideal for meetings, conferences, training and dining.